A collectable set of fridge magnets by Fridge Magic. 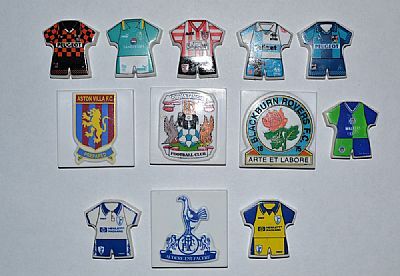 1996/97 Premiership team badges plus home and away shirts. Came with a poster that I am looking to buy or even get a photo of! 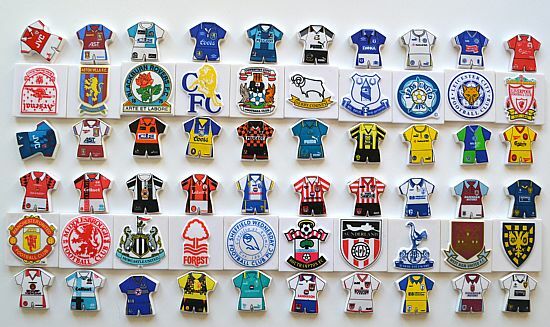 Very nicely designed set of fridge magnets, three magnets per club - home and away shirts plus club badge. Huge thanks to Spiros Chandrinos from www.stickeristas.com who sent me the last three shirts to complete the collection. Top man! 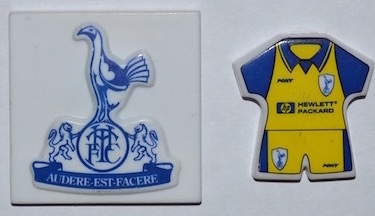 Naturally the top teams were featured to help make this collectable attractive, unfortunately some other less fashionable south London French teams were also included.